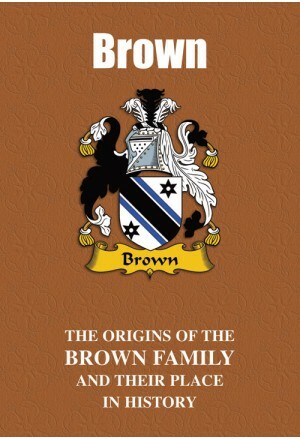 From the battlefield and politics to the stage, music and literature, bearers of the proud name of Brown have stamped an indelible mark on the historical record. First popularised as a surname in England in the wake of the Norman Conquest of 1066, many of its bearers subsequently gained high honours and distinction. In the skies above the Western Front during the First World War, Captain Arthur Roy Brown was the Canadian flying ace officially credited with having shot down the famous German ace Manfred von Richthofen, more colourfully known as the Red Baron. In politics, Gordon Brown is the former British Labour Party politician who served as Prime Minister from 2007 until 2010 after having served under Prime Minister Tony Blair as Chancellor of the Exchequer from 1997 to 2007, making him to date the longest serving holder of the office in modern history. Chronicled here is the colourful and stirring tale of the Browns. 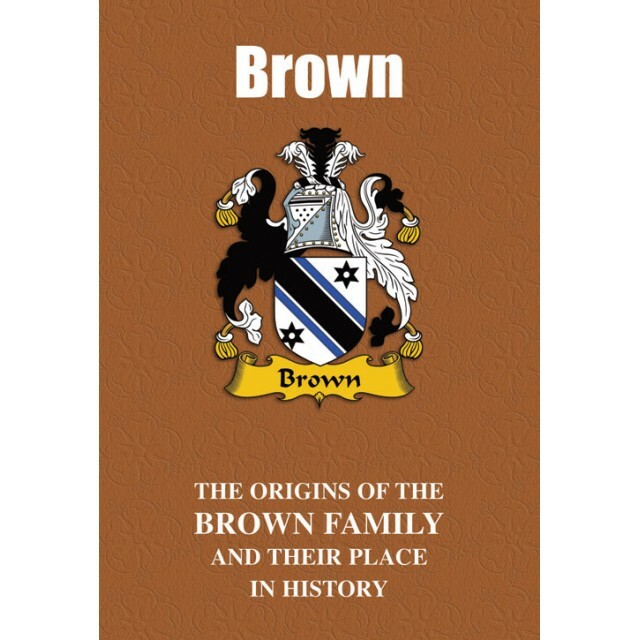 "One bearer of the Brown name with a rather unusual claim to fame is Englishwoman Louise Brown, who on July 25, 1978 became the first human to be born after conception by in vitro fertilisation (IVF). She was born in Oldham General Hospital, in Greater Manchester, while the successful IVF technique had been developed by Patrick Steptoe and Robert Edwards; four years later, her sister Natalie was also conceived by IVF – making her the world’s 40th IVF baby."